I don’t know if these couples were coming back from shopping or coming downtown to party, but you can tell from their various states of dress and undress that it was hot. 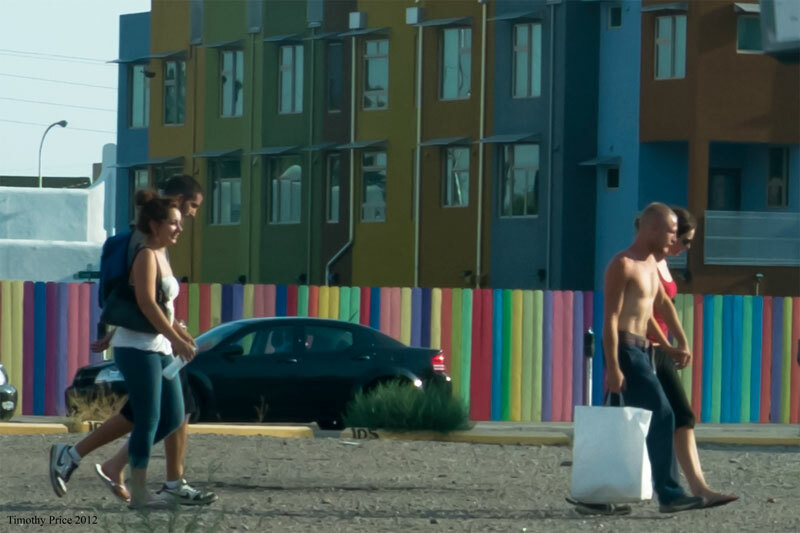 If they had been shopping, then they might appreciate the City of Albuquerque’s current plans for the lot they are walking across. The City bought the lot in 2000 and leased it to the Park-it Place — that’s were I used to park behind the office. But earlier this year the City didn’t renew the Park-it Place’s lease, kicked everyone off the lot, so they could try to get developers interested in building a grocery store on the lot. At least a grocery store is a more practical use for the lot than when Mayor Baca wanted to include this lot for a downtown baseball stadium. I’m sure downtown dwellers would appreciate having a grocery store in the neighborhood if the City can get a grocer interested in opening a store downtown.